HBCUs outperform non-HBCU institutions in retaining and graduating first-generation, low-income African American students. From the beginning, UNCF has been a fully aligned supporter of historically black colleges and universities, or HBCUs. We are not only very supportive of them, but we are excited by their outcomes and how they’re preparing a new generation of college graduates for the challenges our combined futures hold. We truly believe HBCUs matter, they give black students the audacity to be leaders, and HBCUs still play a vital role in delivering better futures for all Americans. 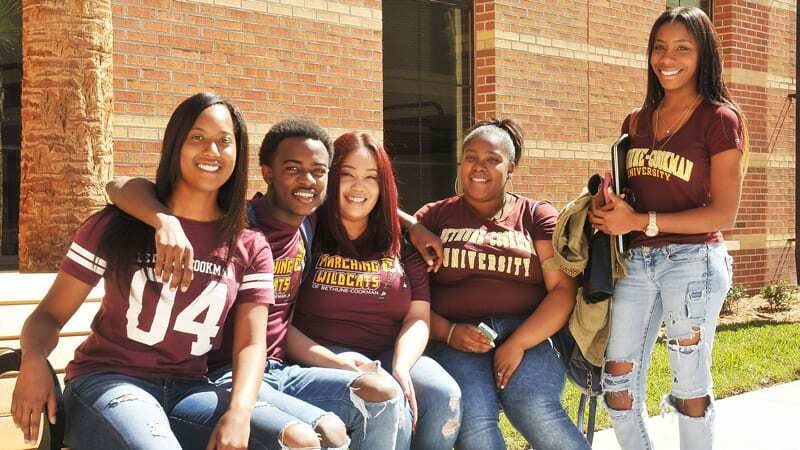 UNCF and the HBCUs it supports are crucial to the success of many students who are working toward a bright future, but who may lack the resources they need to get there. As the nation’s largest private scholarship provider to students of color, UNCF directly supports 37 of the 101 HBCUs in the United States. The reason is clear: HBCUs outperform non-HBCU institutions in retaining and graduating first-generation, low-income African American students. Diversity within college graduates is vital because more voices from all corners of the United States makes us a better formed, positive, successful society. From making college affordable, to supporting African American students seeking degrees and careers in science, technology, engineering and mathematics (STEM) fields, HBCUs play a crucial role. And, we need people from across the country to show their support for HBCUs. The impact of HBCUs begins, naturally, with the college experience itself. A 2015 Gallup-Purdue poll reports that African American graduates of HBCUs are more likely to have felt supported while in college and to be thriving afterward than their black peers who graduated from primarily white institutions (PWIs). The poll reports that the greatest measured difference between African American graduates of HBCUs and black graduates of other schools is their perceived level of financial well-being. Forty percent of HBCU students report feeling financially secure during college, as opposed to 29 percent of black students at other schools. Scholarships help to make this difference. The scholarships available to students attending HBCUs help increase the rates of student retention and graduation. Since its founding in 1944, UNCF has raised more than $4.8 billion for scholarships and other direct supports for its 37 member institutions, helping more than 450,000 students graduate. The UNCF 2016-2017 Scholarship Profile reports that UNCF scholarship recipients have a 70 percent six-year graduation rate, which is significantly higher than the 38 percent rate for all African American college students in the U.S.
Do you believe in the importance of this work? Though their numbers are relatively few, HBCUs make a significant impact nationwide. HBCUs make up only three percent of the country’s colleges and universities, yet produce almost 20 percent of all African American graduates. They play an even greater role when it comes to students pursuing degrees and careers in STEM fields. While black and white students intend to pursue STEM degrees at similar rates, African American students in any STEM field are far less likely to attain their desired degrees. HBCUs are a vital bridge to close the gap: 25 percent of African American graduates with STEM degrees come from HBCUs. Clearly, HBCUs are important to the students that attend them. Less obvious, perhaps, is the positive impact HBCUs make upon communities nationwide. For example, HBCUs annually generate $14.8 billion in national economic impact, as well as 134,090 jobs for their local and regional economies altogether. In other words, HBCUs work not only for the benefit of their students, but for the good of the country as a whole. When it comes to graduating black students and preparing them for impactful, successful careers, HBCUs play an integral role. HBCUs are indispensable to many African American students and their communities. However, the federal government has not stepped up and provided these important education institutions with adequate financial support for many years. Budgets under both the Obama and Trump administrations left many students behind, including proposals like the current $200 billion cut in Pell Grant funding proposed by President Trump—leaving 70 percent of HBCU students in the lurch to find resources to cover such a cut if enacted. Sign your name in support of HBCUs. Through HBCUs and UNCF’s support thereof, preparing for a bright future is much more likely for so many students who otherwise wouldn’t have preparation or the finances to go to college. Despite the academic success that HBCUs clearly provide for under-resourced students, there is more work to be done, and support for HBCUs is especially needed in the current political climate. As the nation’s HBCUs continue to push ahead and provide academic, economic and societal growth, so do the opportunities to shout out why HBCUs still matter. Learn more about supporting HBCUs and their students and help UNCF make a real difference in this work.